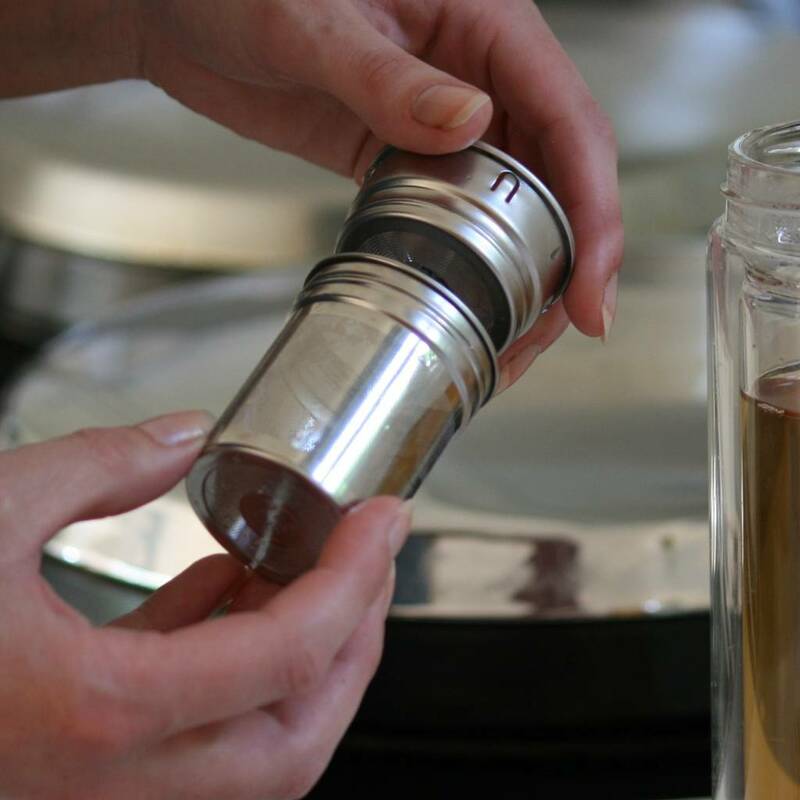 A stylish, reusable, recyclable, double-walled, glass Tea Infuser. 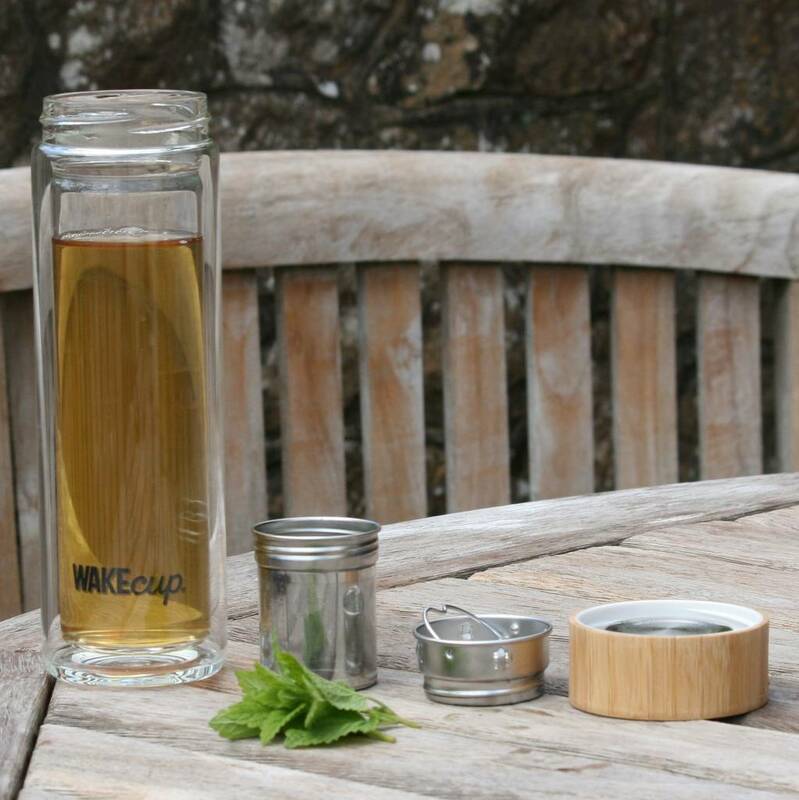 One of our range of sustainably sourced bamboo WAKEcups. 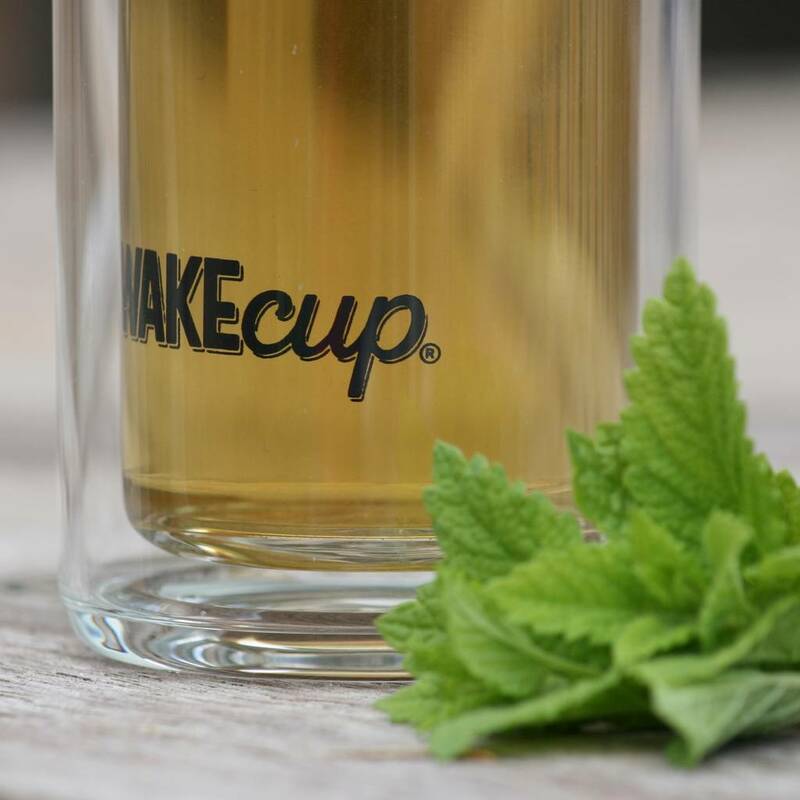 Choose WAKEcup and 10% of profits will go directly to our eco-charity partners The Marine Conservation Society and Plastic Oceans. 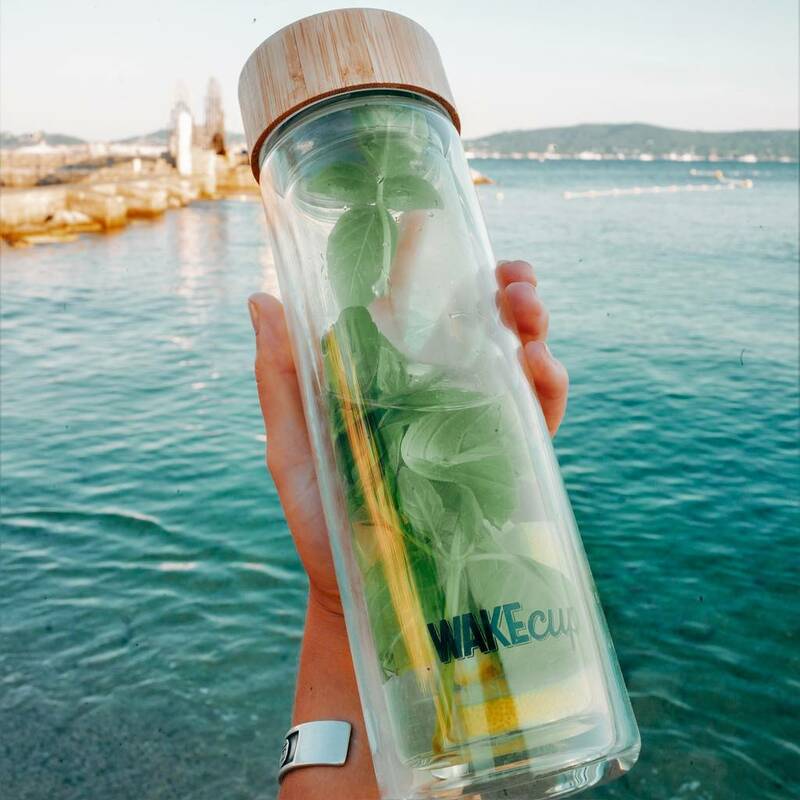 Both charities campaign tirelessly to educate and prevent the devastating effects of single use plastic pollution on our oceans and marine wildlife. 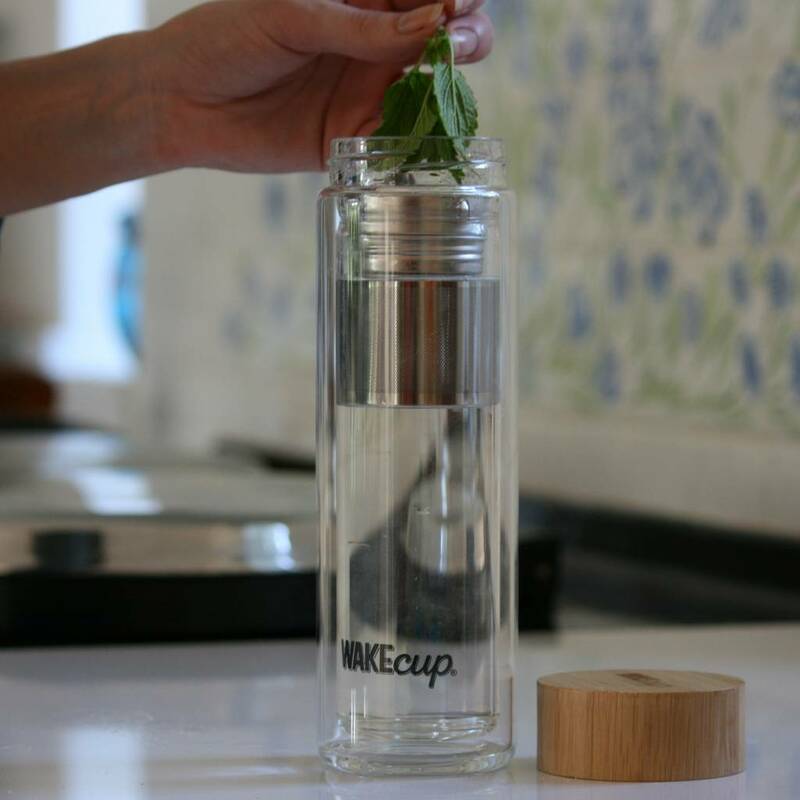 Innovative double-walled design, made from ultra-light, heat resistant glass. Its unique highly effective layer of insulation keeps hot drinks hot and cold drinks cold for much longer. Suitable for everything from swanky herbal loose leaves to a good old cup of Builders' - a must have for all tea enthusiasts! 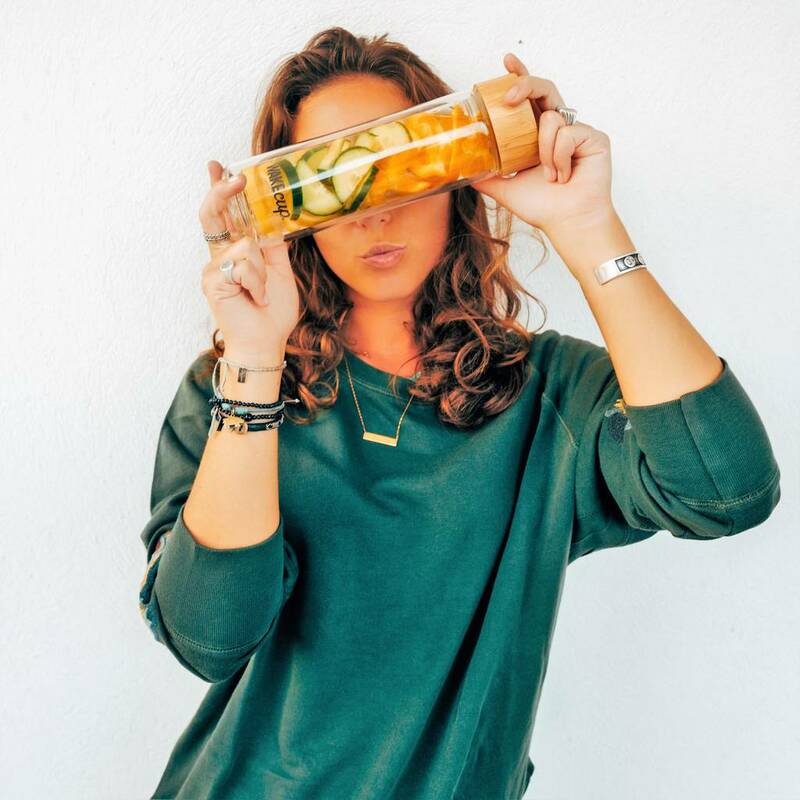 The government announced earlier this year that the UK consumes enough disposable coffee cups to fill The Royal Albert Hall, 1,000 times over. 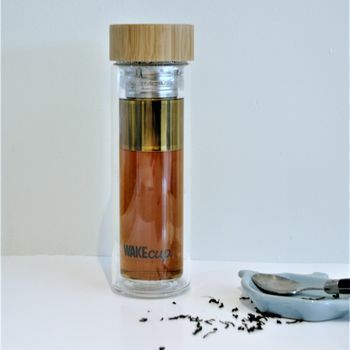 It's time to WAKEcup and smell the coffee, or in this case the Tea! 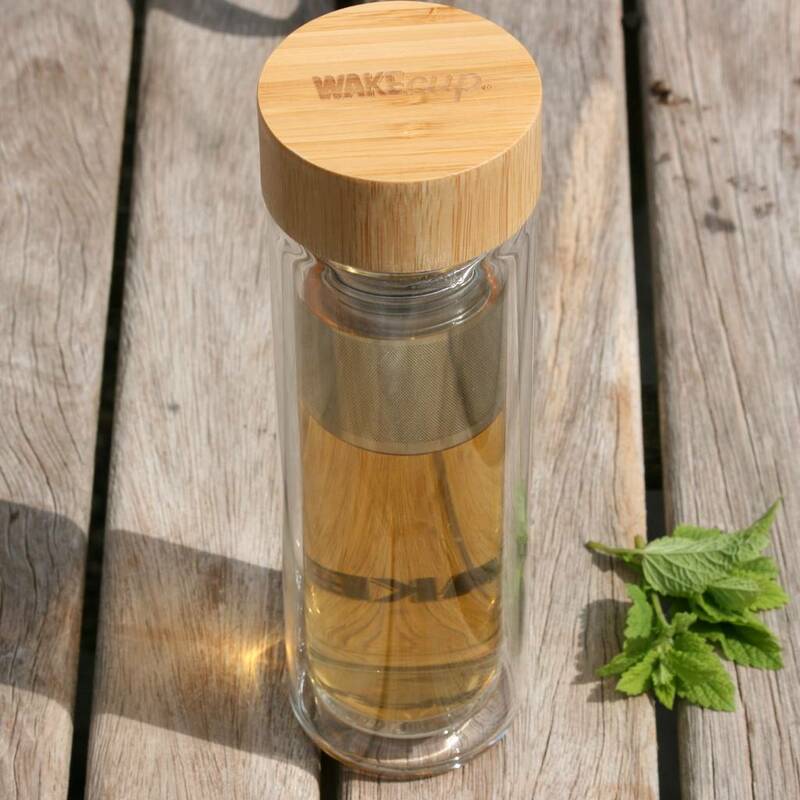 If you care about the planet and future generations enjoyment of it, the WAKEcup makes a great gift. 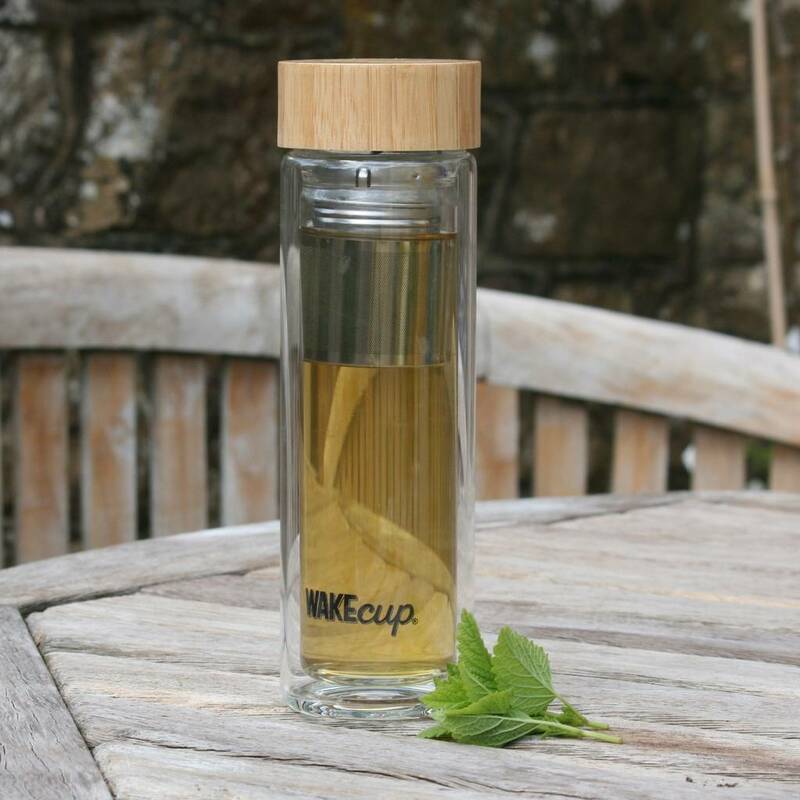 Sustainably sourced farmed bamboo lid with double walled glass bottle. 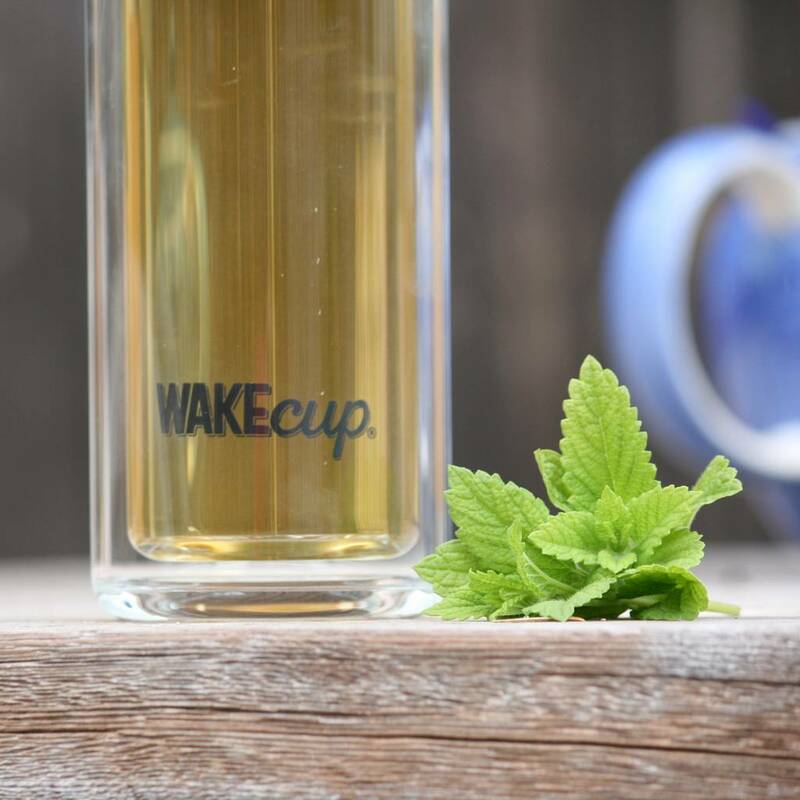 This product is dispatched to you by Global WAKEcup.